The Sisterhood is a fantastical tale about a sorceress’ daughter, and her best friend, who is a dragon. They go on an unforgettable journey to save the universe. This novel is filled with Celtic, Greek, and Ghanaian mythology. It is a magical ride, and a wonderful trip to The Fantastic. It is Book One of The Sisterhood series. This series will be a trilogy. Alison Clarke is an author who has indie published two children’s picture books, The Adventures Of Eli The Elephant, and Eli Goes To The Moon. She illustrated the second literary journey. Both books are about an elephant who magically travels to different worlds. Her foray into mainstream publishing started with her young adult novel, The Sisterhood, which is good for children twelve years and up. Adults will also enjoy this magical story. It is published by Little Bird Publishing, based in London, England. 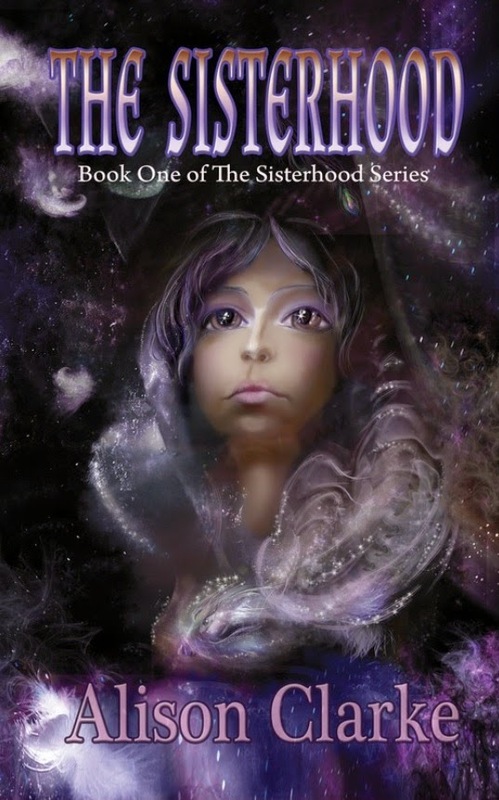 The Sisterhood is now out on Amazon.com, Amazon.ca, and Amazon.co.uk, in e-book format. The paperback edition will be out in a couple of weeks. On Amazon.com, the e-book is on sale for $.99. On the other Amazon sites, the e-book is also on sale. I love your guys "clean" reviews and they make my reading alot more fun knowing that I don't have to kringe when I flip the page!!!! Keep up the GREAT work! Thank you Tayler! Hoping to add more soon!